MINKE is the same Lyle Hess custom-designed cutter as is TALEISIN, of Lin and Larry Pardey fame. 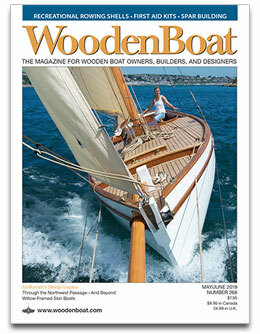 She has a cold-molded hull instead of a planked hull like TALEISIN, has a motor, and a retractable bowsprit. 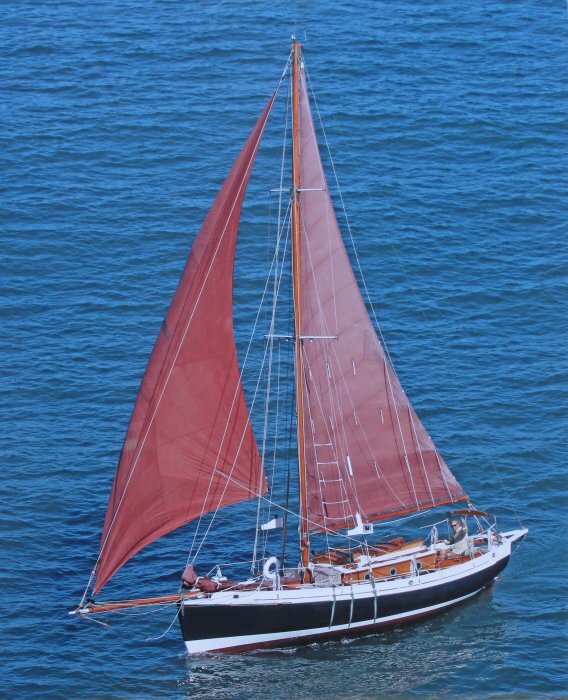 Built in 1992 in New Zealand by shipwright Chris Lowrey and his wife Helen, as stated she has an engine and has the more typically designed interior layout of the galley to port at the base of the companionway with a gimbaled stove. Chart table opposite to starboard. 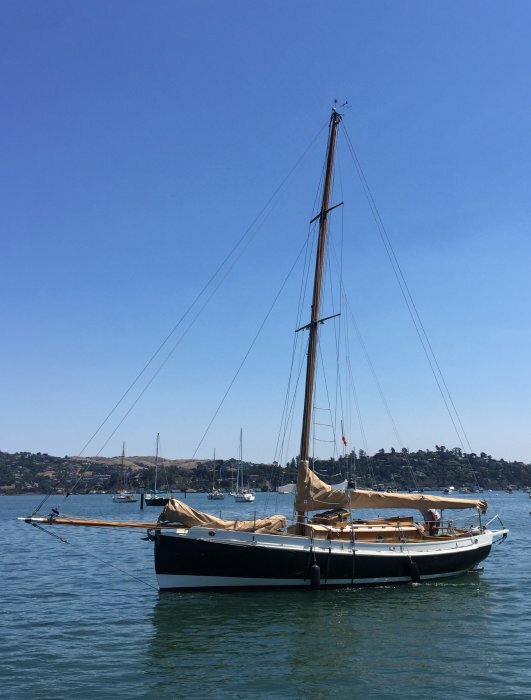 She had no head to speak of (bucket only in a private space forward, in between starboard bulkheads) when we bought her in 2015 (San Rafael Yacht Harbor, CA). This was fine because we had intentions of adding a composting toilet anyway, which she has currently. Composting toilets are the way to “go” — no odors, plumbing, servicing, or thru hulls. Her interior layout, though, is not symmetrical, with a single berth to port and a double berth to starboard. She has a sail locker forward and a work bench opposite. Retractable bowsprit with traditional block and tackle enables us to fit in a 35′ slip instead of a 40′. Removed furler with aluminum foil due to dynamic aspect of bowsprit and replaced with torque ropes sewn into leach of each headsail. New silicon bronze windlass mounted on a silicon bronze stand independent of the retractable bowsprit. Original windlass bolted to the bowsprit necessitated the current solution. Horizontal propane teak deck boxes port and starboard at base of mast. Removed box-style lazarette hatch and replaced with flush one. Improved aft deck space greatly. Added running light boxes to shrouds. All lights LEDs.